The smouldering fear that Donald Trump has been emanting for the past several months is escalating to a five-alarm fire. He is becoming ever more frantic about the legal jeopardy he faces if the report by special counsel Robert Mueller actually sees the light of day. Consequently, he is lashing out with renewed ferocity at Mueller, Congress, and the American people who overwhelmingly (87%) want the report released. In an unusually light fit of Saturday morning rage-tweeting (he’s golfing), Trump reiterated his adoration for Kim Jong Un, whose leadership Trump praised for its potential to make North Korea “one of the most successful nations of the World!” It’s interesting that he has such confidence in this murderous, communist dictator, while he’s maligning American Democrats as “treasonous” and “socialists” who will destroy the nation. 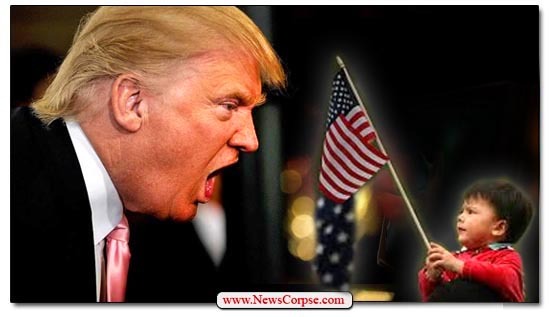 Trump also retweeted his disgusting video associating Rep. Ilhan Omar with the terrorists of 9/11, despite the fact that he had already pinned to the top of his Twitter page. Apparently he wasn’t satisfied that enough of his Deplorables would see it and be incited to make more racist attacks and death threats. There’s a lot of psychoses to unpack in that short spasm of bullpucky. First of all, there are no “Radical Left Democrats” in Congress. Secondly, the Democrats who are there were elected in a Blue Wave by citizens who specifically sent them to Washington to hold Trump accountable. Third, the cost of the investigation was more than paid for by the asset forfeitures assessed against Paul Manafort, Trump’s convicted campaign chairman. Fourth, there is zero evidence of any wrongdoing by Hillary Clinton, the DNC, or the FBI, who Trump is once again insulting as criminals. 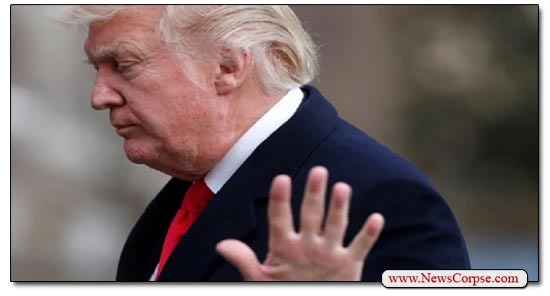 And fifth, Trump is signaling that he has ordered his stooge in the Justice Department, Attorney General William Barr, to launch an illegal persecution of his political foes. But that’s not all. The language in Trump’s tweet was deliberate and highly disturbing. 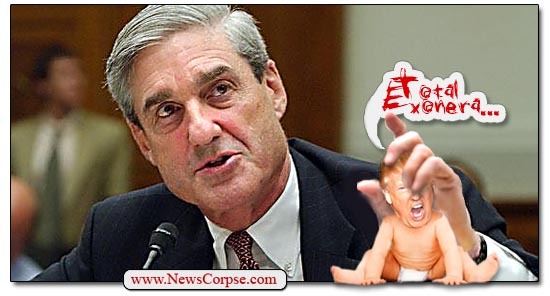 He is now saying that Congress has no right to examine the Mueller report. In his previous statements on this subject he has said that he had no problem with the report being released. He even said that Mueller had acted “honorably.” And why not? He insists that the report “totally exonerates” him. Of course, Trump is nothing if not contradictory. He has also bitterly condemned the report that he hasn’t even read. Something must have changed that made Trump go from “Let it come out, let people see it,” to it was “a hoax from day one” by “13 angry, Trump hating Dems” and “a total waste of time.” And whatever changed more recently must have been even more troubling, because this is the first time that Trump has asserted that the Congress – and by extension the American people – have no right to see the report. Trump continues to maintain that hasn’t read the Mueller report. That’s believable because there’s credible doubt that he can read. At least he’s known to be averse to it and has his aides summarize most documents for him with short paragraphs and lots of pictures. But he has never said that he hasn’t received a briefing on the contents of the Mueller report. So he may know what’s in it, and that may be what’s driving his fear. Because his public comments, and these panicky tweets that seek to deny the rights of the people, indicate that he’s desperately worried about something. And from all of the evidence that’s already public, he should be. In the early and mid 20th century, there were organized crime syndicates that terrorized much of the country with extortion, robbery, and murder as tactics to gain control of businesses, communities, and wealth. It was a well-orchestrated collective of ruthless criminals who would go to any lengths to achieve their nefarious goals. One of the favorite methods that the Mafia used to avoid accountability was to simply insist that there was no such thing as the Mafia. They would assert that they were legitimate businessmen engaging in legal free enterprise. Never mind all the bodies washing up along the shores of the Hudson River, or the storefronts that were engulfed in flames with resistant shopkeepers inside, or the cops driving Cadillacs they couldn’t reasonably explain how they paid for. So let’s be clear. This is white nationalist Carlson denying that there is any such thing as white nationalism. 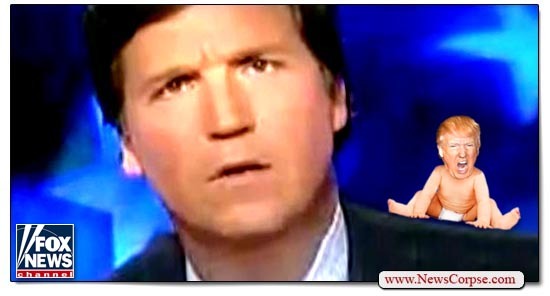 Never mind all his blustering about the supremacy of European white culture, his lamenting of how oppressed white men are in America, and his hostility toward anyone else as “dirty and divisive.” Those comments have resulted in a mass exodus of his advertisers, despite his high ratings. So the circle is complete. The President of the United States is proclaiming to the world that white nationalism is fake news. 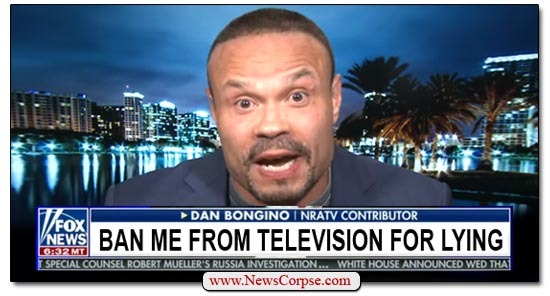 And he got that news for his State TV partners at Fox. But for the record, the Southern Poverty Law Center has documented that “The number of hate groups operating across America rose to a record high – 1,020 – in 2018 … a 30 percent increase roughly coinciding with Trump’s campaign and presidency.” Nevertheless, according to Trump and Fox News, it’s no big deal and hardly merits a sideways glance. Got it? And there’s no such thing as the Mafia either. Sometimes there just really isn’t anything more to say about Donald Trump’s rapidly declining mental state than what he says himself. With each new day day he demonstrates the severity his cognitive infirmities. Much of the evidence is implicit in his incessant lying. At other times he just utters blatant absurdities that have no relationship to reality. On Thursday Trump managed to unleash a statement that is difficult to define in terms of its psychological maladjustment. It is both a lie and and a ludicrous assertion that no sensible person could hear without collapsing in hysterics. 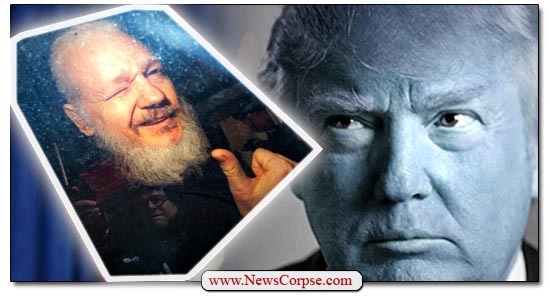 Because after spending years lauding Julian Assange and WikiLeaks, Trump now says that “I know nothing about WikiLeaks, it’s not my thing.” What a convenient dismissal just hours after Assange was placed under arrest and charged with multiple felonies. WATCH: In 2016, President Trump said: "I love reading those Wikileaks." In order to try and deflect the horror and stupidity of the Wikileakes disaster, the Dems said maybe it is Russia dealing with Trump. Crazy! Wow, interview released by Wikileakes shows "quid pro quo" in Crooked Hillary e-mail probe.Such a dishonest person – & Paul Ryan does zilch! Nearly every one of those tweets is an attack on Trump’s 2016 opponent, Hillary Clinton. Which only provides additional evidence that Trump was colluding with WikiLeaks – who was in bed with Russia – during the campaign in order to win the election by cheating, lying, theft, and foreign interference. Trump’s attempt to gaslight the nation by pretending to have no knowledge of WikiLeaks now is pathetic, disturbing, and eminently Trumpian. The whole world witnessed his affection for Assange and company. And anyone who believes his current denial is desperately in need of intense psychological therapy. What a sorry state our country is in when so many people can be lured into such ignorance and cult-style faith in an obvious charlatan. 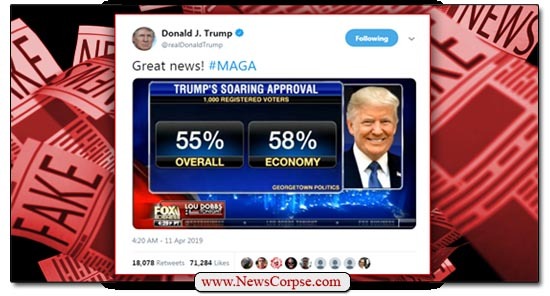 It’s a glorious day of celebration for Donald Trump as he triumphantly tweets the results of a new poll from Georgetown University. His tweet proclaims with glee “Great news! #MAGA.” And below that thrilling exclamation is a graphic that Trump copied straight from Fox News. There must be unbridled joy right about now in the White House because these numbers are higher than almost any that Trump has ever received from any poll, including the wildly biased Rasmussen. So a little bragging by Trump for achieving a fifty-five percent approval rating would seem to be in order. There’s just one little problem. The graphic that Trump is so proudly regurgitating from Fox News’ Lou Dobbs is terribly wrong. The poll from Georgetown actually has Trump with a forty-three percent approval rating. That’s more in line with the current average of polls by RealClear Politics (43.1%). And it’s only that high because it includes Rasmussen’s phony numbers. The fifty-five percent was actually the disapproval rating for Trump. The rest of the poll was hardly positive for for the pitiful President. It shows that fifty-seven percent of voters overall say the country is on the wrong track. And while men polled say they will vote Republican by a margin of nine percent, twice as many women (18%), who are more reliable voters, say they will vote Democratic. “It’s been a quiet start to the day for President Trump, though he did send out a tweet this morning from the Lou Dobbs show last night on Fox Business. That tweet featured a poll that was not entirely accurate, which Fox Business would like to correct. This is another example of how Fox News distorts reality and disseminates lies with the help of their number one fan, Donald Trump. And six hours later, Trump’s fake poll tweet is still on his Twitter page. It’s almost like Fox produces these lies for Trump to post, and then leaves them there purposefully to continue their disinformation campaign. They would never do that, would they? The still simmering controversy over whether or not Donald Trump should release his tax returns is emblematic of the march toward Idiocracy by the Trump administration, his cult following, and his State TV affiliate, Fox News. The arguments made by the tax suppressors are an affront to logic and democracy. In other words, quintessentially Trumpian. 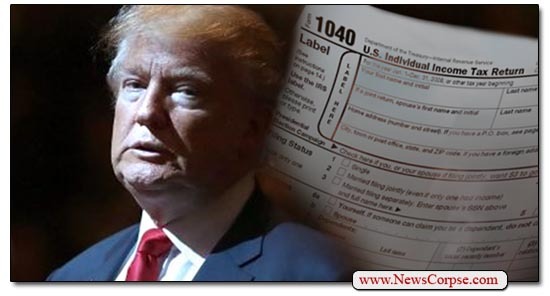 The first and foremost point to be made is that Trump himself promised to release his tax returns prior to the election saying that “I’ll produce my tax returns, absolutely. And I would love to do that.” He never delivered on that promise of transparency that every presidential candidate for the past forty years has complied with. Trump’s original breach of his pledge was an invented excuse that he couldn’t release his taxes because he was being audited. Let’s set aside the fact that there is no evidence of any such audit taking place. More to the point, the IRS does not prohibit – or even care – if a taxpayer chooses to release their own tax returns during an audit. And it wouldn’t affect the audit in any way. After all, the IRS already has that data, so there wouldn’t be any surprise disclosure. How could a public release change anything? 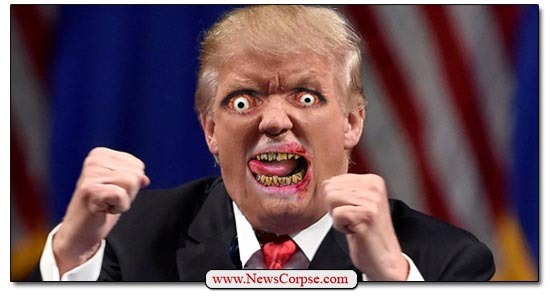 Now Trump is whining about efforts by Democrats in Congress to acquire his tax returns as part of their constitutional oversight responsibilities. And his complaint is typically broiled in hyperbole. He is accusing Democrats of “a gross abuse of power.” In fact, they are performing their duties in conjunction with all applicable laws. And there is a glaring need to probe Trump’s finances given all of the evidence of corruption in his businesses and political activities. Hemmer: To be clear, you believe Democrats will never see the President’s tax returns? Mulvaney: Oh no, never. Nor should they. Keep in mind that that’s an issue that was already litigated during the election. Voters knew the President could’ve given his tax returns, they knew that he didn’t, and they elected him anyway. To be clear, Trump told voters that he would “absolutely” release his taxes, he lied, and a minority of voters elected him anyway via the fatally flawed Electoral College. And it’s the American people, not just the Democrats in Congress, that Trump is most worried about, prompting his obsession with preventing them from seeing the shady dealings in his tax returns. Trump frequently takes both sides of any issue he addresses. That’s mostly because he doesn’t understand anything and forgets what lies he told previously, or finds a new lie more advantageous at the moment. For instance, his initial assertion that he welcomed the release of the full report by special counsel Robert Mueller, and later dismissing it as an illegal hoax. But for him to call requests for his taxes a “gross abuse of power,” after vowing to release them himself, suggests that he was engaging in a perverse act of self-abuse when he made his initial promise. 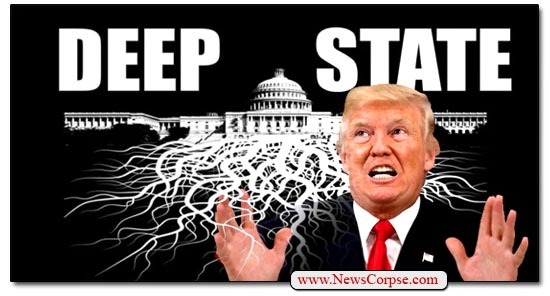 Democrats now are only asking that he keep his word. Which, based on his prior record, may be way too much to hope for.